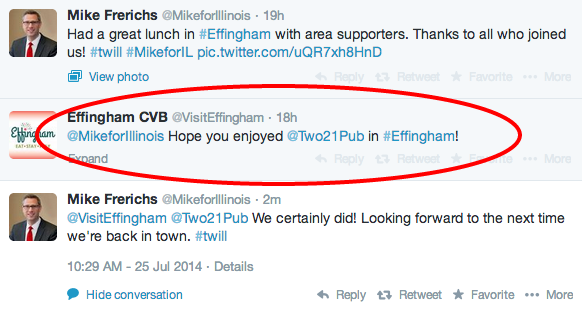 Effingham Pub Confuses Polar Vortex for "Mike Frerichs Vortex"
Over on Twitter, a place called Two21 Pub down in Effingham remarked about the weather that they were experiencing this week and blamed the 'Polar Vortex' for the change. But...take a closer look. Check out who's following the pub on Twitter. You guessed it: the one and only Mike Frerichs. 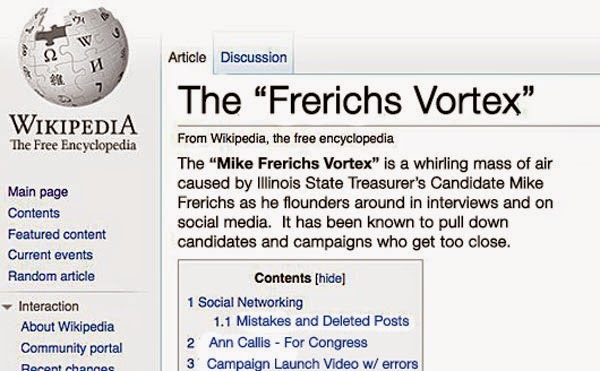 Owner of the "Frerichs Vortex". And...guess what? Tax Hike Mike Frerichs was at the pub earlier this week! Coincidence? We don't think so. 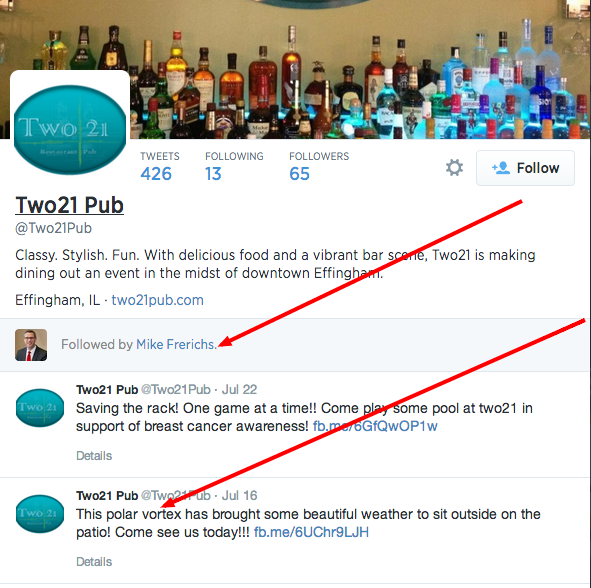 Have some news for you, Two21 Pub and Visit Effingham: You just experienced the "Frerichs Vortex"!